As everyone knows I have been pushing this book an awful lot over the last month or so, and now top author, Paul Magrs, has added his voice to the extraordinary appeal of Paddytum. So, everyone, pop over to Paul’s blog and have a butcher’s. Then pop to Hirst and pick up a copy. You will not be disappointed. Have you heard of NaNoWriMo? Two years ago I hadn’t either. Well, I won’t go into detail, because you can find out all about it by visiting the site, or looking on Wikipedia. I’ve completed (or won, as we ‘Wrimos’ are supposed to say) NaNoWriMo for the past two years. Without it, I doubt I would have one completed novel, never mind four. I did NaNo for the first time in 2008, using it to write the Young Adult novel I’d had in my head for a few months. I finished that in sixteen days, and, having told everyone I’d be novel-writing for the whole of November, decided to use the remaining fourteen days to write another one, this time without any preparation. Last year, I managed fewer words (well, TWO 50,000 word pieces of fiction is pushing it), but my murder mystery story (which I have never even looked at since because I hated the thing) came to nearly 70,000 words. So, when Paddytum was accepted for publication by Hirst Publishing in January this year, I knew I had a daunting task ahead: Paddytum, at the time, stood at 11,000 words, and I knew that I had to extend it by at least another 60K to turn it into a decent-length book. But, I had the training and the tools to do that, thanks to NaNoWriMo! Paddytum started life on a brilliant Canadian-based collaborative fiction site called Protagonize. I wrote the first chapter or two as a bit of fun, and as a collaborative story. The trouble was, nobody wanted to collaborate. People kept coming along and reading it and saying; ‘We like this – add some more!’ And over the next two years, that’s what I did – very, very slowly. It was only eight chapters long when Hirst agreed to publish it, and I had absolutely no idea where it was going or how it would end. I did know what the ‘big secret’ was, however, and I was starting to have an idea or two how I’d develop it. 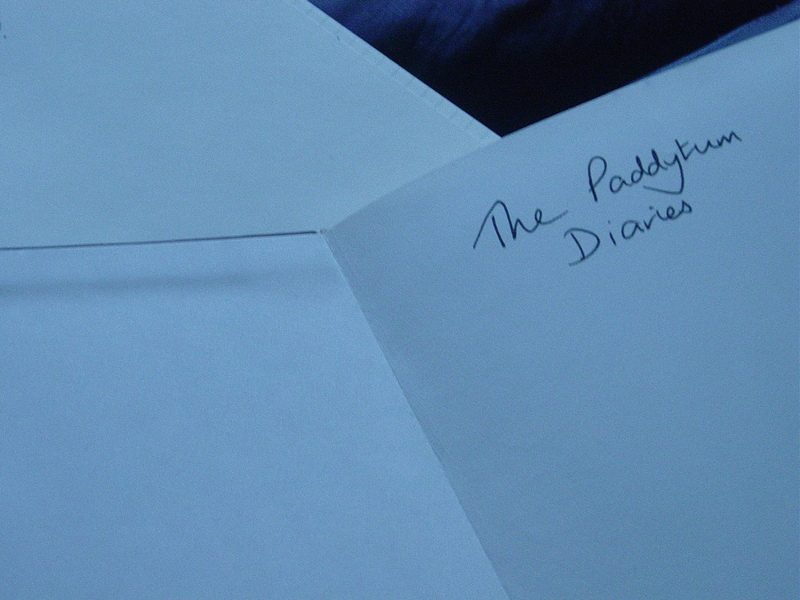 So, I started planning ‘PerPadWriMo’ (Personal Paddytum Writing Month). PerPadWriMo was to take place in March, and I set a target of 62K words, just 2,000 words a day. Easy! I would use the rest of January and all of February for thinking up a plot, write it in March, and ‘rest’ the book for two months, coming back to it in June and July to revise, re-write, edit and polish it. Phase One: Planning and Pre-writing. I had my beginning. I still needed a middle and an end. I had already decided that my main character was going to be a happier chappie at the end of the story than at the beginning, so I just had to decide how to get him there. I bought a couple of new notebooks. (I had dozens of notebooks already, but I never need much of an excuse to buy stationery.) One was A4, for my notes and planning, and a second A5 one, which I called ‘The Paddytum Diaries’, in which I decided to write every day, for ‘thinking aloud’ about the plot. For six weeks, I thought about the story, wrote ideas for scenes and characters, plot twists, either in my head or in one of the notebooks. In the last week of February, I sat on my bed with a big piece of cardboard and a pad of Post-it notes, and jotted down a scene on each post-it – just a couple of words or a sentence – referring to my notebooks. When I’d run out of scenes, I arranged all the post-its on the cardboard, until I had them in the correct chronological order. When I was happy with the sequence, I wrote the scenes down as a list in my A4 book, so that I could cross them off as I wrote them. The final stage was to rewrite my existing eight chapters, ready to start the ‘new’ writing on March 1st. I’d also taken my ‘proper’ diary, and noted against each date in March a running total of my prospective word-count for each day, so that I could track my progress and see whether I was on target. I did the majority of the writing in the mornings, starting as soon as my children left for school, and carrying on until around lunchtime, with an option to continue in the afternoon if I hadn’t done my word-count for that day. I began, always, by doing some more ‘thinking-aloud’ in the Paddytum Diary, not just about the writing itself, but also about my mood, how I was feeling about the whole thing. If something from ‘real life’ was on my mind, I got that out of my system before I started to write. There are a good few rants in the Paddytum Diary! One of the most important things I’d learned from NaNoWriMo was ‘Don’t Look Back’. Once the writing was done, I forbade myself from looking back at a single word of it, not even to correct a single typo. This is vital! Once you start looking back over what you’ve written, you’re on the slippery slope to self-doubt, which leads straight to the lake of ‘Why Am I Even Bothering When I’m Such a Crap Writer?’ Don’t do it! You’ll just end up with an abandoned novel. Looking back is the main cause of failure during NaNoWriMo. Rule One is: ‘Don’t get it right, get it written.’ There’s plenty of time afterwards to get it right, and I’d allowed myself two months to do that. That’s why it was so useful to write in the diary, because it helped me to focus on the process without being tempted to look back at my work. At the end of each session, I filled in my word-count, in both diaries, and worked out the surplus or the deficit. I fell behind a bit during the first week; I hadn’t got into my stride yet – but from day 10 onwards I was ahead, managing an average of 2,200 words a day. 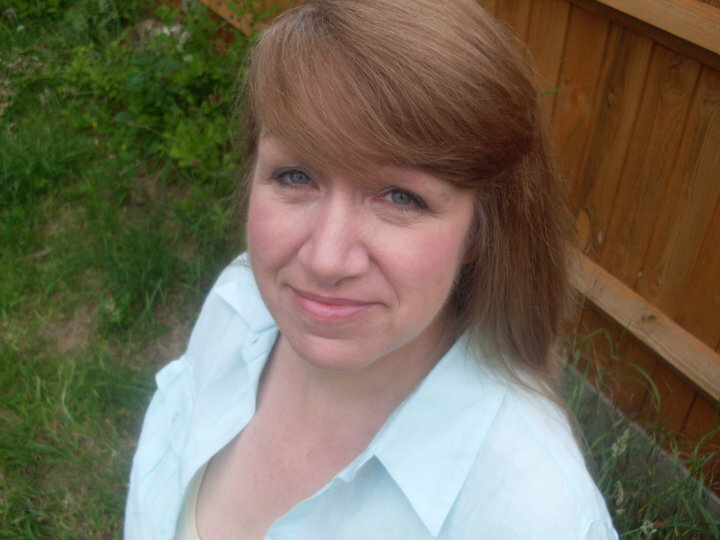 Sometimes, I found myself deviating from the plot and the scenes listed in my notebook, when the characters took me off in a completely new direction. When that happened, I kept writing, following the lead of my subconscious, but I still carried on as if I hadn’t been sidetracked at the next session, writing the scenes in my planning notebook but not getting rid of the deviations, confident (well, sort of) that I could tie everything together during the rewrite. One of the amazing things about writing is that something that doesn’t make sense when you’re writing it makes perfect sense when you come back to it. I knew there’d be plot holes, and I knew there’d be things I’d have to cut and things I’d have to add in order to patch the holes. But during the writing stage is not the time to discriminate. At the end of March, I had written 68,510 words, exceeding my target by over 6,000. Job done. Well, not quite. In April and May I did other things, leaving Paddytum well alone. I spent June editing, concentrating on a different aspect on each ‘pass’. The first edit was for typos, the second for grammar and punctuation. I went through it about ten times in all, gradually trimming scenes, cutting, and sometimes adding. The word-count went down, and then up, and then down again. At the end of June I was told I could launch my book in September if I had it ready by mid-July, and I felt that this was possible, as I was sure I was almost there. On the next read-through, I decided it didn’t have enough conflict, so I added two new characters and a few more scenes. The finished manuscript was around 87,000 words when I sent it to my publisher, feeling somewhat bereft now that it was out of my hands (and my control). Now the book is out there, and people are beginning to ask about the next one. Eek! The logical thing would be to dust off one of my three NaNoWriMo novels, except that I don’t much like them. I think of them as my ‘practice’ novels. Starting something brand new would be far more exciting. And this year’s NaNoWriMo begins in 33 days time. Bring it on! 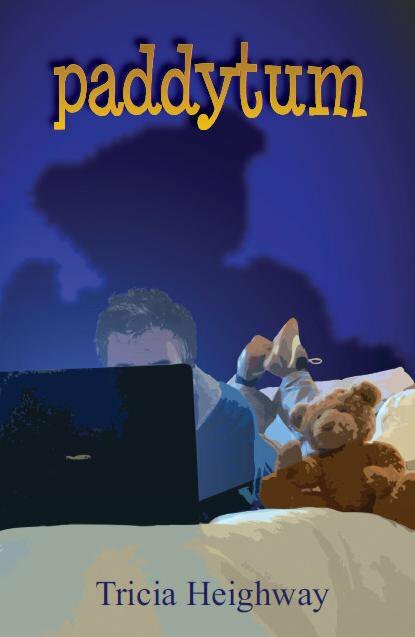 Paddytum by Tricia Heighway; a review. It’s a double-edged sword having so many author friends. We all like our books to be read, and so we often trade. ‘You read mine, I’ll read yours.’ Sounds like a fab deal, right? Tell me any avid reader who would balk at such a thing. On the flip side, though, what happens when you read a book written by a friend and you hate it? The grammar makes your skin crawl, the punctuation displays a serious lack of even the most basic understanding of the rules, and worst of all, the story is such a yawnfest it’s a struggle to reach the end. You’re left in the unenviable position of having to give your review and possibly wound your friend. You could just lie and say how wonderful it was, and be very generic, or you could be honest and try to be constructive. Alas, some authors have fragile egos, so a lie is often the best way out. Having become a friend of Tricia Heighway, and having already pre-ordered Paddytum, I knew I was taking a risk since this was her first novel and I had yet to read a single word written by her (Facebook not withstanding). I was pretty sure I was going to like the book from the moment I first read the blurb and learned it was about a talking teddy bear whipping its owner into shape. Sounded like the kind of quirky idea I’d love. But there was nothing to say Tricia could pull it off! Well, no sugar-lies are needed here. I can say, in all honesty, that I loved every single bit of this book. In fact, I will go so far as to say this is a truly special kind of novel. There is such an innocence in the prose, in the humour, in the characters, that’s it’s very difficult not to be pulled straight in. Humour is a tough thing to convey well in prose, being such a subjective thing, but Tricia pulls it off incredibly well. Mostly because the humour springs from the characters, especially the lead, Robert Handle, whose ineptitude at life creates much of the humour. Life is funnier than people generally realise; we do such silly things on a daily basis, without even considering what it is we do, and why. The sheer silliness of life is not lost on Tricia, and she indulges in it swiftly. Any person who still lives with mummy well into their forties is, without doubt, a tragic and often pathetic figure. Sometimes there are good reasons behind such a situation, and Rob’s own reasons add a very sad dimension to his life. His father was killed when he was eighteen, and as a result two people were left behind, so caught up in their own grief that they were unable to help each other. Rob turned in on himself and shut the world out totally, barely venturing out of his bedroom unless forced into it. His mother shut herself down in a different way, internalising her pain, masking it in anger. I think what makes this book so special is the clever way the humour and the tragedy is merged together to create a wonderful study of loss. It’s a very British thing to cope through humour, and even when we reach the emotional climax the humour is still evident. It’s not thrown in your face, it’s just there, a natural extension of the characters and situations. The story is truly believable; it carries at its heart an honesty that is compelling. Even though, on the one hand you have a tale about a teddy bear that discovers its voice and guides its owner into sorting out his life, on the other you have the very world in which Robert inhabits, the one of disastrous encounters with people previously only known online, the failed first romantic relationships, the first real job and discovering a hitherto unknown talent for being able to say the right thing. Everything about this story just feels real, and you could believe it happened to someone you know. The end is also powerful, as we get to the heart of the problem and the truth of Paddytum is revealed. I had a few theories throughout the book, and worked out the correct explanation moments before the story revealed it. It’s a conclusion handled with deftness and immense skill, so much so in fact that I found myself slowing down towards the end as I did not wish the book to finish. But, all good things must end eventually, and Paddytum is no exception. Fortunately, it ends with a brilliant final scene, and the last line is a scorcher. 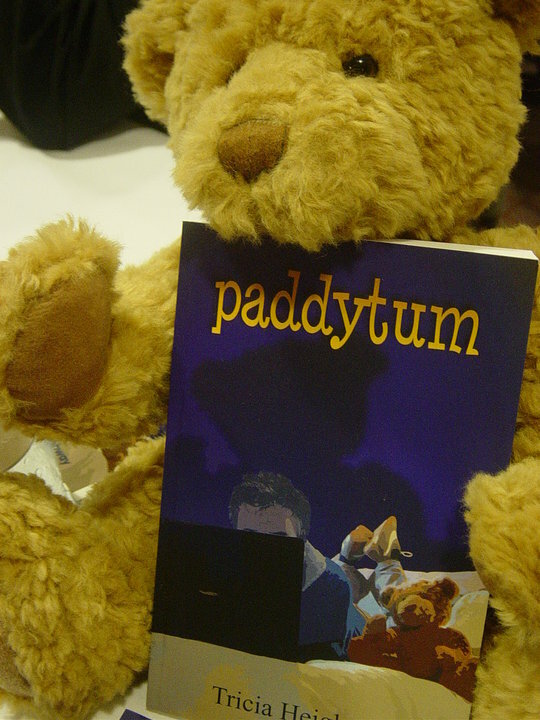 Paddytum is published by Hirst Publishing, at £7.99. You can purchase a copy directly from Hirst, or any good book stockists, including Waterstones and Borders.